Cooling fan problems can be hard to diagnose, depending on your vehicle model and the type of failure. Still, you can avoid much of the confusion using a troubleshooting plan. If your electric radiator fan isn't coming on after the engine reaches operating temperature—the key here is operating temperature (more on this later)—you can bet there's something wrong with the fan assembly itself, the circuit, or one of its components. This guide walks you through some of the most common electric cooling fan problems to help you troubleshoot and identify the problem when the fan refuses to work, or works intermittently. On older vehicle models, the fan circuit is simple, and you may not have trouble locating operating components or the fault itself. Modern vehicles use the electronic control module (ECM-car computer), powertrain control module (PCM), or a dedicated fan control module (or both) to control the operation of the radiator fan, and can be little more complicated to troubleshoot sometimes. So, with newer vehicle models, it's a good idea to have the vehicle repair manual for your particular make and model on hand, especially with fairly recent models. The manual explains the operation of the cooling system, how your cooling fan operates, and the sensors or switches your car computer reads from to operate the cooling fan. Besides, the manual can help you locate sensors, relays, switches and trace circuit wires as necessary. Haynes makes good aftermarket manuals. If your engine is overheating and you suspect problems with the cooling fan, this guide gives you important troubleshooting tips, and the steps to diagnose the most common cooling fan failures you are likely to encounter on your car. Before going into the necessary steps to troubleshoot the fan in your vehicle, though, a brief fan operation description follows. Has Your Cooling Fan Actually Failed? If the cooling system in your vehicle uses an electric cooling fan, most likely you have a transversal (sideways) mounted engine. However, some longitudinal (front to rear) mounted engines use the electric fan as well, but they usually have an engine-powered cooling fan. The electric cooling fan uses a direct current (DC) electric motor with a thermo switch, module or computer control to turn it on or off, depending on coolant temperature or AC operating condition. 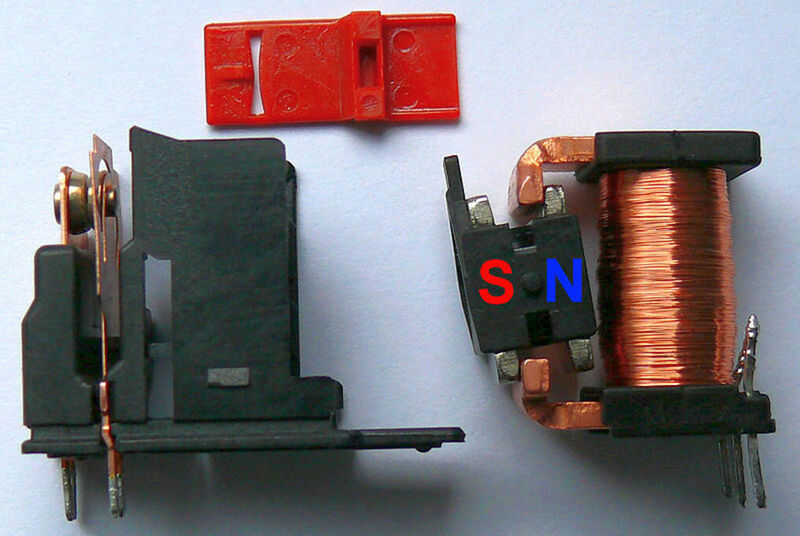 On older fan circuits, the thermostatic switch connects to battery power on one side, and to the fan motor on the other. However, on most '90s and newer models the control was passed to the car computer or a dedicated module. For example, when coolant temperature changes, the thermo switch reports this change to the computer through a voltage signal, which the computer or module uses to activate the cooling fan through a fan relay(s). An electric cooling fan not only helps save energy by running only when the system needs to remove excess heat away from the engine, but helps shield other sensitive circuits and electronic components from heat damage. During the winter months, your radiator fan saves even more energy when enough cool air flows through the radiator on the highway. Even if your cooling fan doesn't have a complicated circuit, you still need to know where to look when your fan doesn't work as expected. Next are some fan circuit key points you need to check when diagnosing problems with your electric cooling fan. 1. 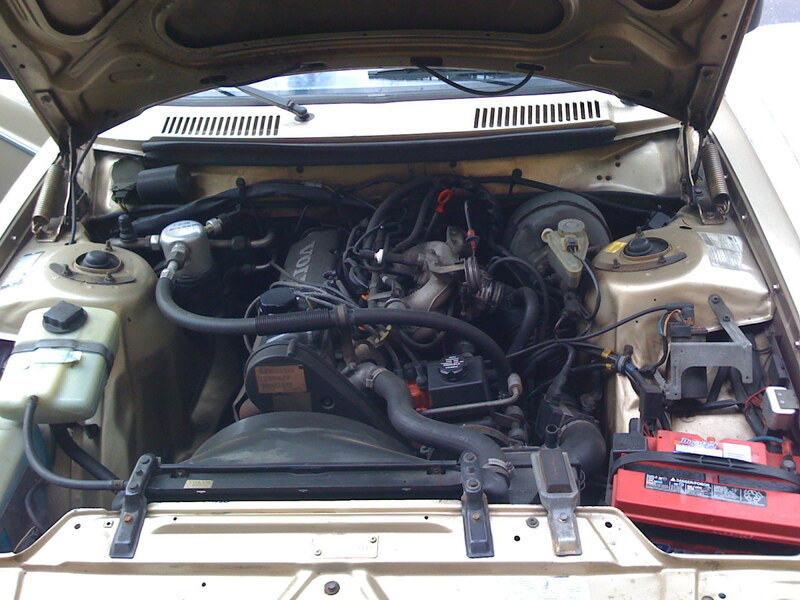 If you think the cooling fan isn't working because your temperature gauge is indicating overheating, open the hood, start the engine, and let it idle for 15 to 20 minutes. If the fan comes on, you may have a bad temperature sensor or gauge. 2. A cooling fan temperature switch (or sensor, in some vehicles) can also get stuck, which may cause the fan to run continuously any time you turn the ignition key on or start the engine. Troubleshoot the switch. 3. 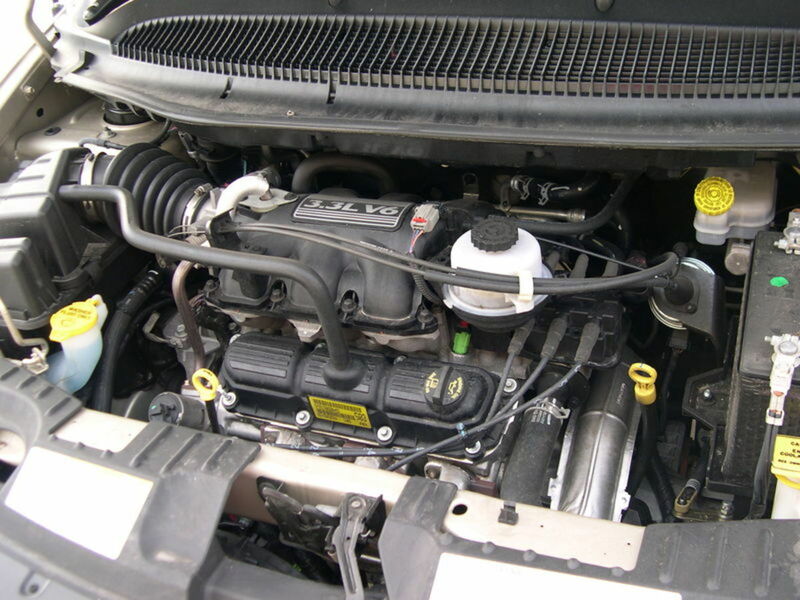 On some modern vehicles, an ambient air temperature sensor, vehicle speed sensor, and other sensors may provide input to the car computer to determine radiator fan operation. Consult your vehicle repair manual to check the required sensors and switches. On a warm engine, the fan may come on even if the engine is not running. When working on a hot engine or an engine that is running, keep your hands and tools away from the fan blades and moving components. Troubleshooting a cooling fan that doesn't work can be a relatively straightforward task at times. Usually, the problem resides with the fan motor itself, a thermo switch, relay, wire, or (less commonly) the computer or module itself. 1.Has the Cooling Fan Actually Failed? On many modern vehicles, if you want to confirm whether your cooling fan is in working order, you can start the engine and let it idle. Set your air conditioning to the MAX setting and turn it on. The cooling fan should come on immediately or within the next couple of minutes. On older vehicle models, just wait about 15 to 20 minutes for the engine to reach operating temperature. Then, the fan should come on. If the fan comes on when the AC is running at MAX, but doesn't run when the engine is hot, check the temperature sensor or switch that sends the signal to the computer or module to operate the fan. 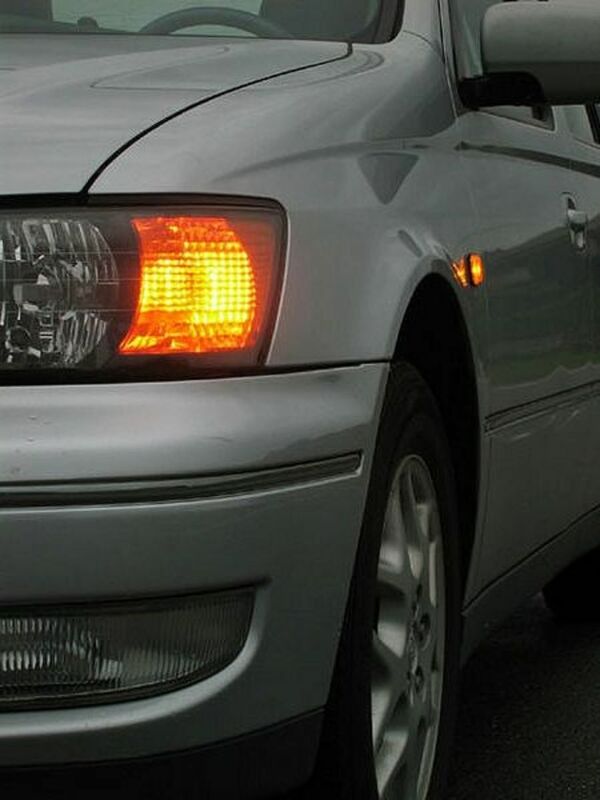 On modern vehicles, a bad sensor usually triggers the check engine light. Scan the computer for trouble codes, if necessary. If the fan fails to come on, first check for a fan blown fuse or triggered breaker. On older vehicle models, you may have a fusible link in the circuit. This is a piece of wire inside an insulated block of rubber. You won't miss it. Grab the ends of the fusible link and try to stretch it. If it stretches, the wire link might be broken. Replace it. CAUTION: If the fan fuse or fusible link is blown, or the breaker has been triggered, it is possible the fan motor itself may be bad and causing the fuses to blow. Replace the fuse or fusible link, or reset the breaker, and test the fan motor again. If the same problem appears and there's no wire causing a short circuit, replace the fan motor. NOTE: if the cooling fan doesn't come on when the engine has been operating for 20 minutes or more, make sure that coolant is reaching operating temperature, around 220°F (104°C). You may be dealing with a stuck-open thermostat. Check the temperature of the engine block and radiator tank (the one that connects to the engine with the upper radiator hose) using a kitchen thermometer. Make sure that engine temperature reaches about 220°F (104°C) and the radiator tank temperature rises accordingly (meaning hot coolant is being transferred to the radiator). If temperature remains fairly steady around 200°F (93°C) or less, the temperature switch or sensor may fail to trigger the radiator fan on. If the fan fails to come on, you still can check the fan by connecting direct battery power to it (while working and making tests in the proximity of the fan, always stay clear and keep tools away from the fan). 1. Unplug the fan wiring connector. Closely examine the connector for corrosion or damage. 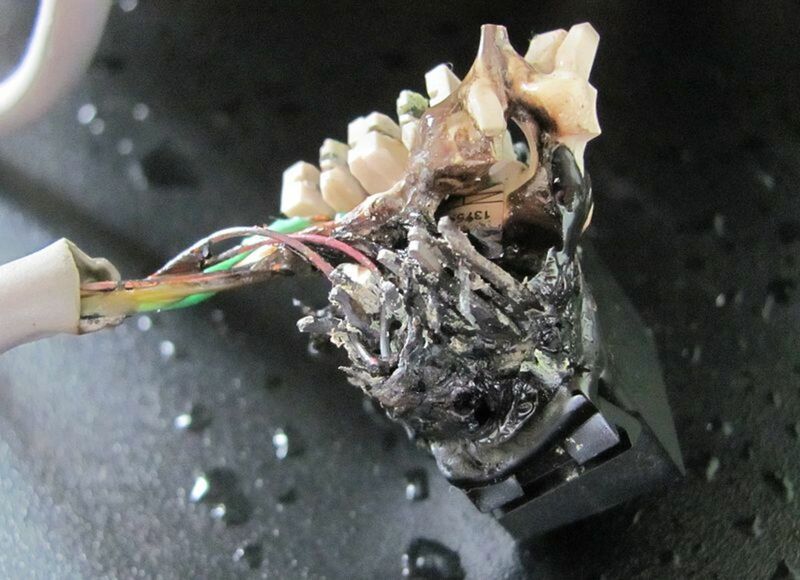 If necessary, use electrical contact cleaner to clean the connector. Make sure the wires are firmly attached to the connector and not damaged. 2. Look at the polarity of the wires leading to the fan, identify power and ground (usually a black wire). 3. Using jumping wires, connect battery negative to the ground side of the fan connector and positive battery to the other wire. On some vehicles, the fan connector comes with three terminals, two for power (high and low speed, test both) and another for ground. Or you may have a four-wire terminal (high and low speed and two grounds, test each pair separately). Consult your vehicle repair manual to identify each wire, if necessary. 4. Once you connect the fan to battery power, your fan should start running. If the fan doesn't work with direct battery power, examine the terminal that plugs to the radiator fan connector. Look for corrosion and damage. Then test for incoming voltage at the terminal with your digital multimeter (DMM). With the engine running and at operating temperature, touch the terminal positive and ground with the respective multimeter probes, you should get running voltage (about 14V), indicating the fan should be running. If your test proves incoming power, replace the fan motor. Check for any blown fuses or a tripping breaker. If your find a circuit blown fuse or tripped breaker, the fan motor might be pulling too much voltage, causing the fault. Check for a shorted wire or replace the fan motor. If the fan doesn't come on at all, or runs noisy or at an abnormally low speed, replace the fan motor. The video at the bottom of this post gives you a visual guide to troubleshoot the temperature sensor and fan motor. If the cooling fan motor and fuses, breakers or fusible links seem to be in working order, it's time to check the circuit and related components. You may need to consult your vehicle repair manual to locate components and wires in the circuit. 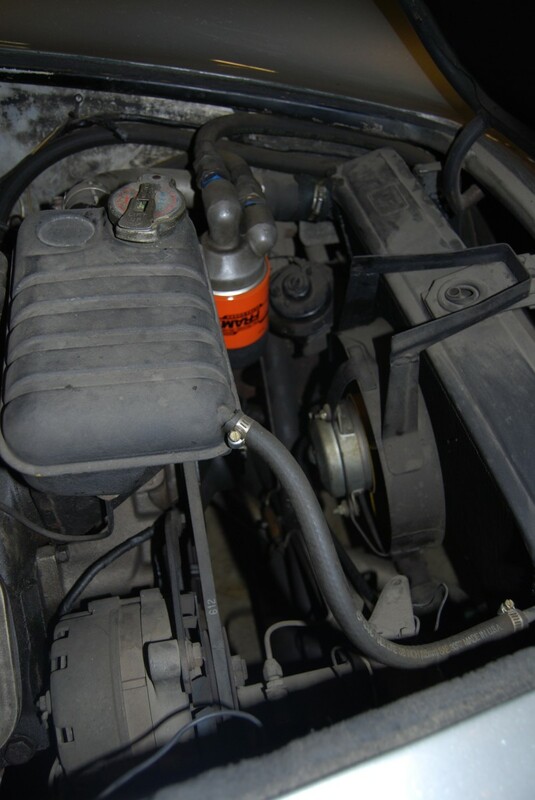 Try to follow the fan wires back to the coolant temperature switch or cooling fan relay on modern vehicles. Closely examine the wires for cuts or damage. Consult your vehicle repair manual to locate the switch, if necessary. On most modern vehicles (late '90s and newer), you are looking for the switch that connects to your car computer (powertrain computer), since there may be more than one switch. You can test the cooling fan temperature switch using a test light. 1. Connect your test light to battery ground. 2. Start and idle the engine, and backprobe the connector terminals with the test light. One of them should turn on the test light. 3. Wait for the engine to reach operating temperature. 4. Now backprobe the other wire at the connector. Your test light should come on. Otherwise, the switch is not working. NOTE: If your vehicle repair manual gives you the cold and hot Ohms (resistance) values for your temperature switch, you can test it with a digital multimeter. Test switch resistance with the engine cold, and after idling the engine for 15 minutes. Turn off the engine and test again. Compare values to the ones on your manual. If you don't have the cold and hot values for your switch, you still may want to test the switch and compare the difference in values. This will tell you the switch is still working somehow. Also, on newer vehicles the coolant temperature sensor operates the A/C and the cooling fan. If your vehicle repair manual gives the Ohms values at cold and hot condition, use your voltmeter to test the temperature sensor, if necessary. If you don't have the sensor's resistance values but you notice that Ohms remains pretty much the same at cold and hot, replace the sensor. The easiest way to know whether your relay is causing trouble is to replace it with another relay in your vehicle you know is working fine. Look at the power center under the hood for a similar relay that won't interfere with the correct operation of your engine if swapped, like a window or wiper relay. If you can't find a suitable relay, you still can test the relay. Go ahead and read the steps described in How to Test a Fuel Pump Relay. The steps are the same for your relay. Most fan relays come in one of three different configurations. Make sure to correctly identify the prong terminals on your relay. See the schematic printed on the relay itself or consult the schematic in your vehicle repair manual, if necessary. The schematic will help you also when checking the fan cooling circuit. If swapping relays still doesn't operate your cooling fan, make sure the relay is receiving power from the computer. Consult your repair manual to identify the wire that sends power to the relay. Usually, there's power to the relay even if the engine is off. You can use a test light to check for power here. Connect the test light wire to a good ground and probe the power terminal on the relay socket. Turn the ignition key to On, if necessary. The test light should come on. If there's no power, there may be a fusible connector hooked to the power wire that is at fault, or the computer is not sending power to the relay. Consult the circuit schematic on your repair manual to follow the wire back and keep checking for voltage as necessary. If the relay is working, check the wire(s) and fan connector for damage. 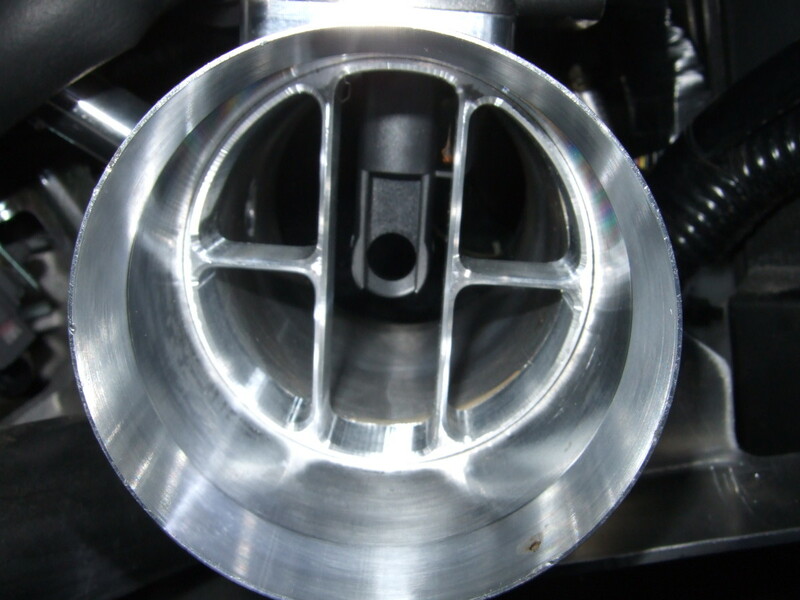 When checking for cooling fan problems, a modern vehicle may present a challenge. Many modern vehicle models have a much more complex cooling fan circuit that the ones described here. Refer to your vehicle repair manual to locate wires, components, and modules, if necessary. Still, in some cases, you need to make a diagnosis using a professional scan tool to check for voltage values and power inputs to the cooling fan to locate the source of the problem. My cooling fan is not working on overheating, but it works with A/C. Why is this? You may want to check the coolant temperature sensor. The Engine overheats but the relay is not picking up. What may be the cause? Check the temperature switch and relay. Also, make sure they are getting voltage. My overheated sensor light does not show when the car is overheated and also does not start cooling fan in Chevrolet Spark 1.0 LS model 2008. However, when A/C using then cooling Fan start and running continuously after the A/C is closed? Check the circuit, there could be a short to ground somewhere in there. Should a cooling fan connector switch get hot to the touch? Not really, unless it's too close to a hot surface, probably the engine or there some unwanted resistance. Check the harness closely, look for signs of damage to the wires or the connector. And make sure it's away from the engine. On my 2011 KIA Sorento, why does the cooling fan sometimes remain on after vehicle engine is turned off? On some models, the fan will stay on to allow the engine to cool. If yours only does it intermittently, check the ignition switch and main relay. If they seem fine, you'll probably need the diagram for the circuit to troubleshoot the fault. Check the vehicle repair manual for your model. The local library might have a copy in the reference section, if you don't have the manual. The fan on my 2011 Cruze comes on once the car is started and runs full speed and never shuts off. It seems like my car has no heat as well. Any ideas what the problem could be? Check the relays and the coolant temperature sensor. There might be a short in the circuit. The fan on my car started to turn on too often. It is the same temperature outside, and we are in the middle of mild winter. I am not running aircon at the moment, no need. Is something on its way? Make sure the car is not overheating, possibly the water pump isn't working properly. On my 2008 Toyota Highlander, the cooling fan comes up for about a minute and then goes off (mostly at night) without the engine being on and often runs the battery down. What could be the cause of the cause, please? The fan coming on with the engine off is normal in modern vehicles. But check the battery, there could be a bad cell, causing a discharge. My 2006 G35 is not overheating, but when the car gets up to operating temperature, both fans come on high and do not turn off until I shut the car off. What should I look into to remedy this? Check the coolant fan relay and coolant temperature sensor. My cooling fan is staying on all the time in my 2002 Lincoln Town car. The battery is also dead. When I hooked up the booster, the fan started. What could be the problem? Usually, this is caused by a bad cooling temperature sensor. Try unplugging the sensor and see if the fan stops. If it does, replace it. Another problem could be a grounded wire or stuck relay. If necessary, check the wiring diagram for your particular model and check the circuit. I am experiencing a short on the condenser or cooling fan. What could be the problem? How do I fix this? Look up the electric diagram on your vehiclr repair manual and used that as a guide -- If you don't have the manual, your local library may have a copy. Will a car overheat on a long distance trip with no cooling fan? There might not be enough air flow through the radiator to the engine, depending on your model and the location of the condenser. What would cause my cooling fans to stay on even when the vehicle is cold? Unplug the cooling temperature sensor. If the fan stops, replace the sensor. I have a 2000 Camry 2.2L. The cooling fans come on way too late: only when the temp gauge is very high. They work normally with the AC on. The coolant temperature fan switch/sensor at the bottom of the radiator is new and works as it should in another similar Camry (I switched it out to test). Any Ideas what could be causing this? I have a 2011 Durango 5.7 AWD. The cooling fan comes on with the A/C but will only intermittently without it, like if a heater happens to be on. Sometimes it'll keep the engine cool and sometimes it doesn't even work. Why would it do that? We looked in the owners manual and the 3 fuse boxes on my 2007 Saab 9.3 2.0T sedan. None of these tell us which is for the radiator fan so we can’t check it. How can we locate this fuse? Why does my 2012 Silverado volt gauge drop from 14+v to about 12v when the electric fan is running? Electric fans draw quite a bit of amperage and it's possible for some alternators to lack a sense of such high draw if it is not designed for it. 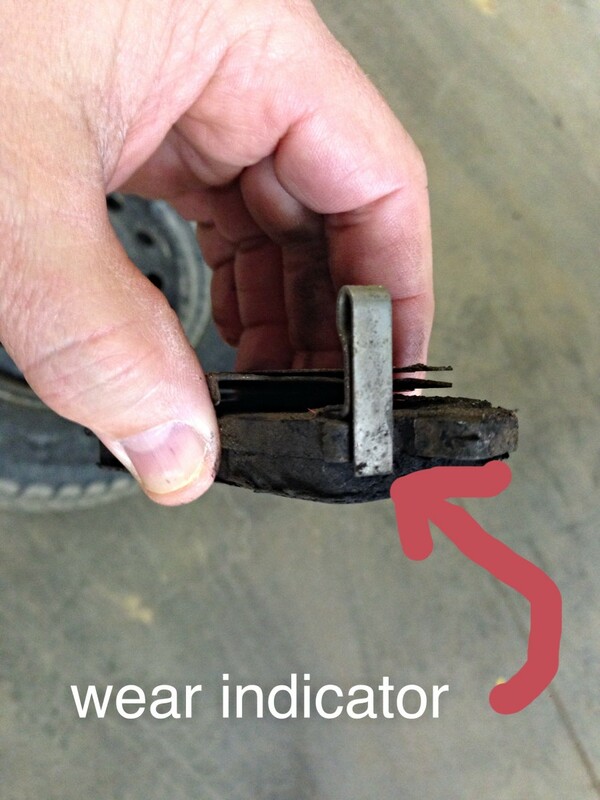 Still the alternator should be putting out over 13 volts, even if your meter says otherwise. Check the alternator and battery with a Voltmeter. Regardless of the type of charging system, there's always a drop in voltage. So most likely there's no problem with your alternator. 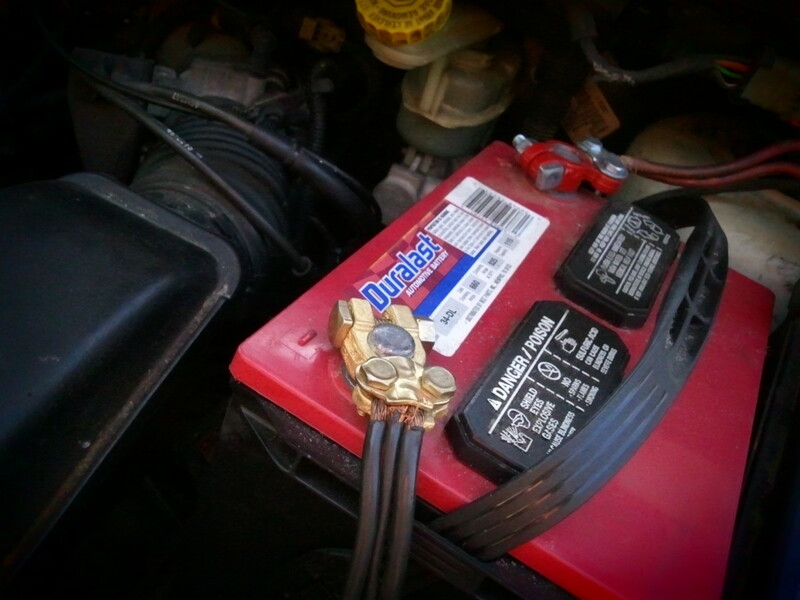 My 95 Cadillac DeVille, when I unplug the relay, the fuse blows to the engine coolant sensor. What is wrong? Check for a short in the circuit, probably around the relays area. Will a blown fuse, (electric cooling fan) stop my 2004 Lincoln Aviator from starting up? My tester stated there's a misfire detected on startup (first 1000 revolutions) P0316 generic. 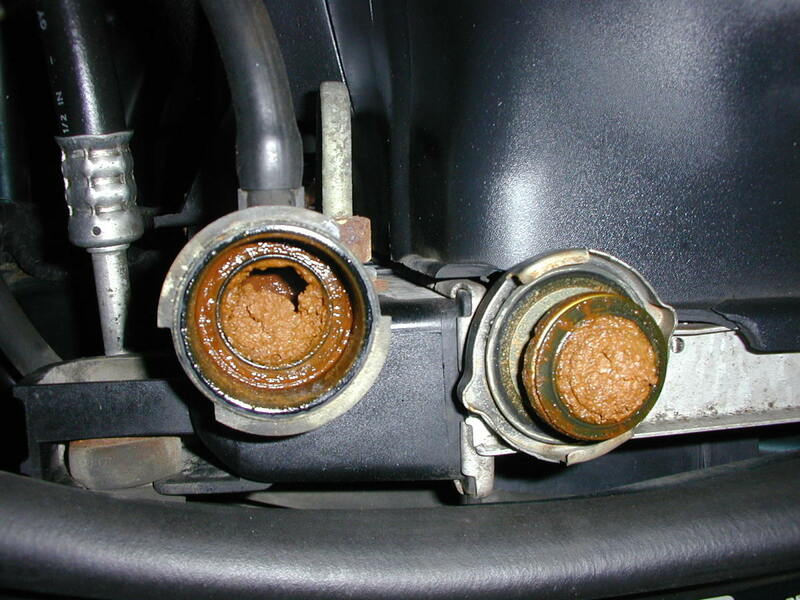 This is usually triggered by a problem in the fuel or ignition system. However, double check and make sure there's not another DTC in memory or a pending code. If you find one, check on that area. My aux fan is not working, how should I fix it? Check first the fuses and relays for the fan's circuit. You may need the diagram for your model. There could be a wire that's not getting current behind the dash between the AC and cluster. I want to know if it is possible to convert a E46 BMW 330i cooling fan to turn on at 70% and not 90%? I want the fan to run before it gets to 90 degrees. It is possible to do this. The easiest way is to use digital fan controllers. But, then again, the factory switch works in sync with ignition timing, fuel, oil temperature, and many other things to give you better engine performance and minimum emissions. You basically will be reducing engine service life in my opinion. My engine cuts out when the cooling fan turns on. It is a 1995 Ford Festiva. Why is this? My check engine light is on. I replaced the temperature sensor, but the fans still do not work. It doesn’t seem to have any blown fuses. What else could be the issue? Go over sections 1 and 2 in the post to make sure your fan is at fault and take it from there. You may have missed a fusible link (depending on your model). Double check there are no more diagnostic trouble codes as well. There could be a problem in the circuit, the motor is not working or not receiving voltage. On a 2001 Honda Ex 4 cyl, which side is the condenser? I don't have the schematic with me, but if I remember correctly, it's located to the left (driver's side). You can call your local dealer service department to confirm. My car is a 2012 Toyota Ractis model. My cooling fan is not working properly while AC running and AC is not cool. Why? The inoperative cooling fans are causing the cooling system heat to rise. That’s why your AC is not cool. Had the AC system checked. It could be low on refrigerant or a bad relay, a sensor, an ambient temperature switch or the AC pressure transducer is bad. Why does my Toyota Corolla Ae101 radiator fan spin in slow mode even after a long ride? If turn on, the A/C and fan both spins in slow mode. It is supposed to be in fast mode, right? There might be a problem in the control circuit. It's possible a switch in the A/C (high-pressure switch), or radiator fan switch is faulty. If you have the repair manual for it, check the diagrams to trace and check the switches. My 1995 Accord’s fan only runs after I shut the motor off. I’ve replaced the fan timing unit, switch, thermostat, and tried swapping relays and topped it off after bleeding the coolant system. What do I do next? Maybe there's a problem with the thermocouple sensor. But you need to have the diagram for the circuit and follow the voltage to see where is or isn't going. I have a 2011 Grand Caravan. When the A/c is turned on, the high speed cooling fan will not come on. The relays are good and the signal voltage is at the relay. At this point, I am assuming I should check the PCM? The A/C works but once I come to a stop, it gets warm. Watching the gauges on my A/C charging lines, once the pressure gets to 250 F, the low-speed fan comes on. You may need to have the AC system check. It could be low on refrigerant/low pressure, a failing switch, not allowing the fans to work properly. my cooling fans start immediately when I plug the battery on switch off stats again until the battery is dead. What could be faulty? There seems to be a short in the circuit. You may need the diagram for your model to check for voltages. I have an Astra 2006, and the rear fan is working all the time even if I stop the engine and lock the car until the battery is dead. Can you help me with that? I have a 2008 Mercedes GL 450. The cooling fan doesn't run even at a high temperature. Turned on the Airconditioner but still doesn't run. What is the problem? Check the fan switch (coolant temp sensor) and the circuit. 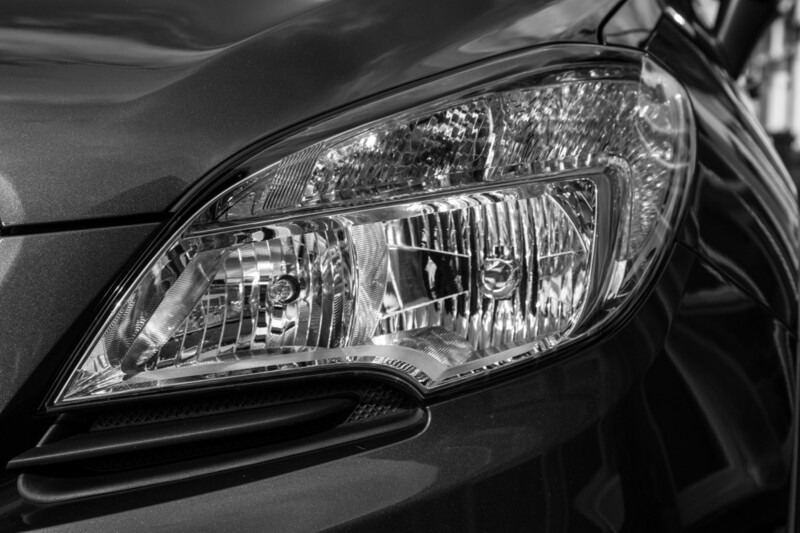 You may need the vehicle repair manual for your model to I.D. the wires. Not yet. At least. The fan problem may be related to the expansion valve and the overall operation of the AC. If you're going ahead and replace the compressor, go ahead. And talk to your mechanic about the fan operation. But I'd suggest to wait until you got the AC system up and running good. Hope this helps. Hi, I have an 05 Dodge Magnum, I was trying to change the expansion valve myself and one of the bolt was broken and I was replaced it with just one bolt because I did not know if the bolt was mounted on a seal plate I thought I would have to remove the evaporator another for me to remove the bolt, I said I'm going to leave it with one bolt, I was scared to tell the A/C guy was going to vacuum and fill the A/C system for me. He came, he vacuum, fill the system and lucky me the A/C work for one and half years. After that I started to smell the Freon inside of the car and the A/C started to blowing hot air. I called the A/C guy again and told him to come check the A/C for me, before that I went ahead and put some A/C stop leak which worked for thee days, now I went to the A/C guy and I told him what I did before I went to him. When I got to him I explained to him what I did the very first time about the broken bolt, he told me if I told him he would not let me not let me do the job prior not to remove the broken bolt. He told me he got a good A/C stop leak could put that will fix it definitely but before he ad it into the system it is a must and imperative to remove the broken bolt first the Expansion Valve. Before he did the he ad some freon he told me he want to see how long it going to stay before the A/C the get hot again which he did, and it took it ten days the A/C got hot. I bought this Expansion Valve kit he replaced, vacuumed and filled the system but he told me as he replaced the part that was for him the main cause of the leak, he is not going to ad the A/C stop leak yet. He vacuumed/filled the system and he told me this time if the A/C got hot that's when he will have to ad the A/C stop leak. This time it was running a little longer for about three weeks. All these happened because I don't want to replace the evaporator. He always telling me that the A/C compressor is very weak because when the car is idling the A/C dosen't work good. Now my concern is the cooling fans, they works but it like they don't work at high speed like they used to. I don't know if it is because it's spring time it's not too hot. I had even turned the heater on, the fans just work normal. I did an experience, i unplugged the fans I accelerated the car and the temperature went up and I went and plugged the fans back and they kicked on in very high speed just once, after that they're running at low speed. Do you think the fans need to be replaced or not. The usually won’t come on until the engine is at operating temperature (around 190 o 210 degrees). Than it will run at low speed (mostly) or high speed to maintain coolant temperature. You can check the specs for your particular model using your vehicle repair manual. 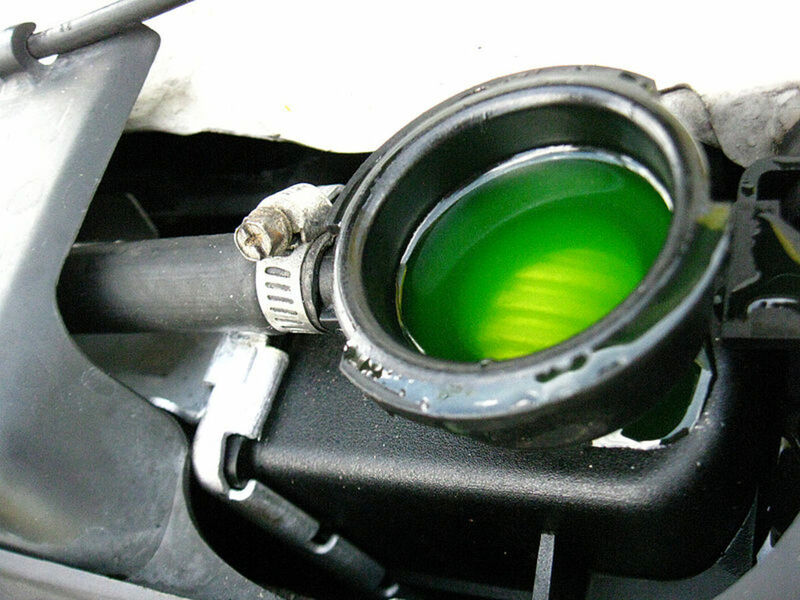 If you suspect something is not right you may want to check the engine coolant sensor or switch. Check for power to the relay with the ignition On first. Other possibilities is a defective or disconnected module. 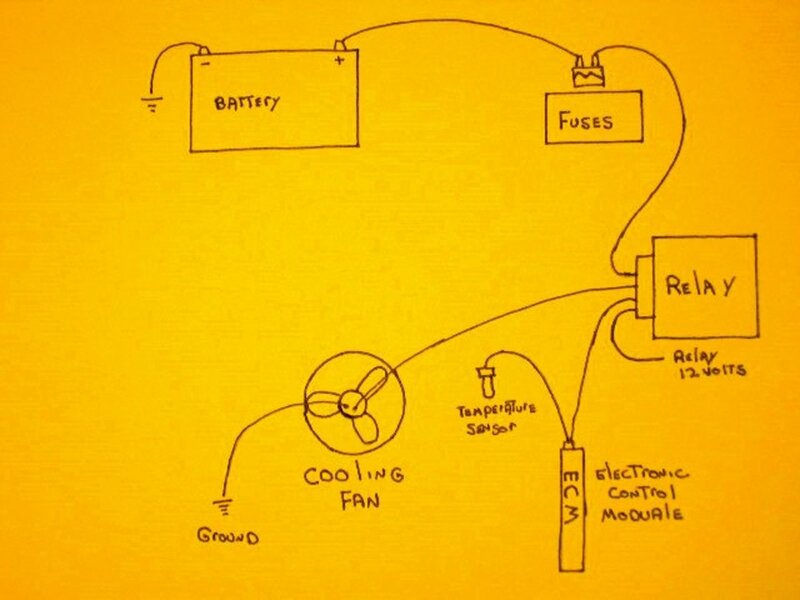 If there's no problem with the AC, you may use the diagram to trace for voltage. You can find the diagram in the repair manual for your vehicle. Use an aftermarket manual, if necessary. Check the temperature sensor. If the sensor is fine, check the wires. Make sure they are well connected, not loose. I have a 2006 Dodge caravan, I had the radiator replaced about 6 months ago my recent problem is the fan comes on when it's not even warmed up, once it comes on it seems to stay on until I turn my van off. It's possible. If you think the fan is running when it shouldn't check for possible DTCs, even if your engine light is not on. You may need your repair manual to check on some sensors. On 2009 GMC with 5.3 L . Can the ambient temperature sensor cause electric radiator fan to run even when engine is overnight cold when AC is on for several minutes as I drive ? Follow the voltage using a diagram. Both fans should come on at the same time - they're wired in parallel. Check where the voltage is stuck for that side. Sorry can't be of any more help. I have a 2006 Pontiac Grand Prix 3.8 Supercharged. I have replaced: Coolant temperature sensor, thermostat, PCM, Both fans (complete unit), Wiring from the fans to the relays and plugs oh and the relays yet the driver side fan still wont come on. Fans have been tested both the old and new (and they worked), but I can't get this fixed. Any suggestions? Yes. 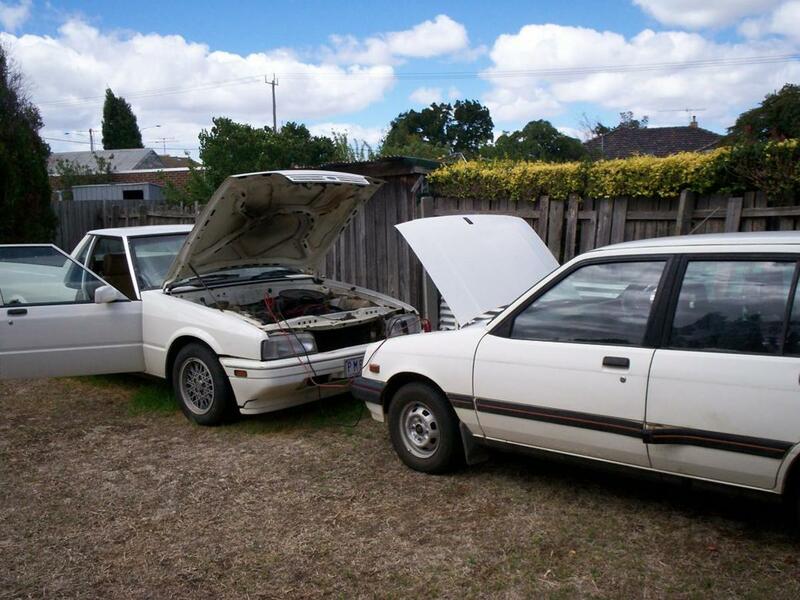 If the engine starts to overheat, you can end up with an expensive repair. So it's better to take a look at it now that can be much cheaper. It's possible there's a failing pressure switch in the AC. If you have a capable scanner, the circuit may be monitor to check the switches. Hi, I have Mitsubishi gallant v6 2004. My cooling fans does come on and with AC on they do increases speed but not to the max speed even when the engine is overheating. They stay on same speed without AC even if the needle is going above the middle. Only increases speed with AC on, but not very fast just little difference. If I unplugged the ECU wire from the module main connector they run full speed all the time and no heating issue. Sorry, I don't have the wiring diagram for this model but look for the fuse box, either under the dashboard or in the engine bay, ---firewall, driver's side possibly. I have a 1992 Volkswagen Hatchback 1Lt petrol, "the old bread van", boils when reaches over temp, ok when air cools eng on a run till i stop. fan motor ok, checked with 12v source separate, changed rad sensor, no go where is rad motor relay? You need the wiring diagram for the cooling fan of your particular vehicle make and model. Recheck the connections you made and the fuses. It seems that somewhere you created a short. If you replaced the cooling fan, make sure it's the right one for your model. If you don't have the manual for your car, check the reference section of your local public library. Would you please diagnoses the major shorts. Basically the black wire is ground and the blue one is positive. I don't have the wiring diagram for your model, but I'm assuming you are connecting to the control module. Check the fuse and make sure there's power. If you don't have the service manual for your particular model, stop by your local public library. The reference section might have the manual for your model. I recently purchased a new Universal 120w cooling fan for my BMW 318iS. The wires from the car are brown, blue, another colour with a stripe in. The universal fan has only 2 wires, one black & one blue. Which wires need to be connected to allow the fan come on when the car gets hot. Presently the striped wire is not connected & after driving about 12 kilometers the temp gauge started to rise & the fan did not come on. It's possibly there's a short circuit or a problem in the cooling system. Try scanning for trouble codes, if necessary. Man, this helped out a lot!! Well written / explained! Thank u.